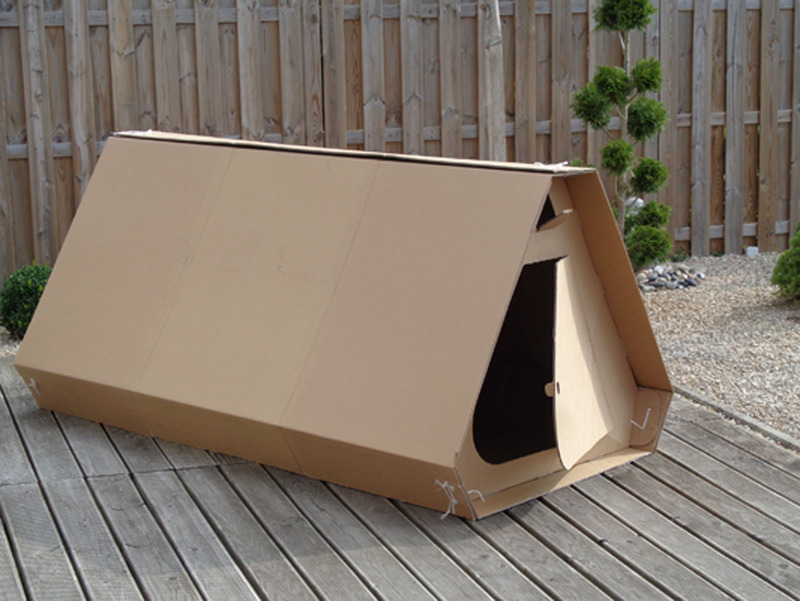 The ORIG-AMI is a cardboard shelter. It is insulating, protective due to its structure, folding like an accordion, transportable as a backpack and recyclable. 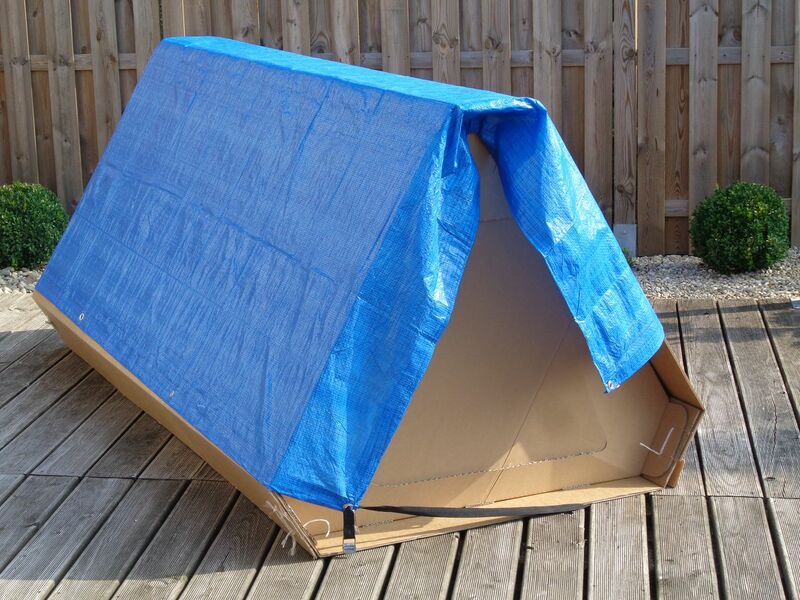 The shelter for the homeless was conceived on the principal of origami, a Japanese technique of folding paper. We live in one of the most comfortable countries in the world. It is hardly acceptable that human beings spend the night in the street, on the sidewalks, under our windows. 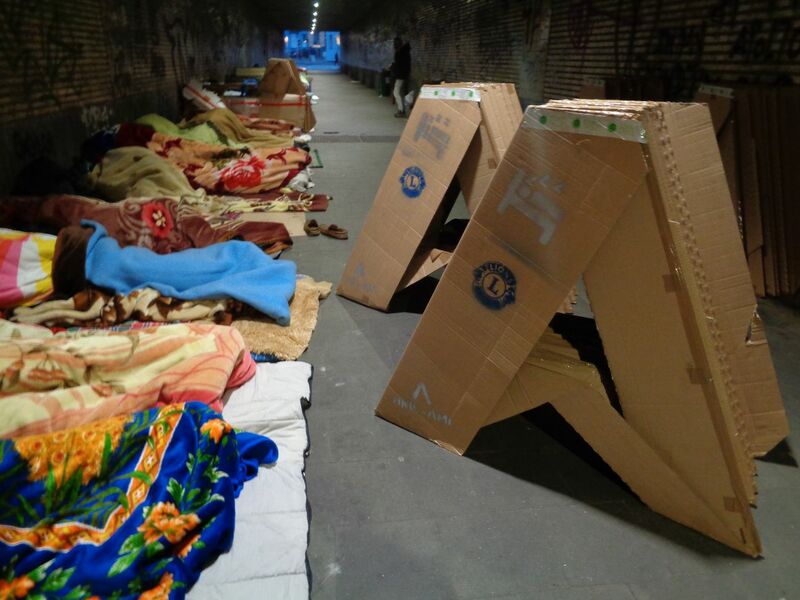 In Brussels, the capital of Europe, 2,600 people sleep on the pavement. The number is increasing year by year. Like those casualties of life, each of us could end up on the street and them in our place. Each of us can support the process by sponsoring an ORIG-AMI at a unit price of 20 euros. Currently, we assume production on own funds as long as we can do it. In Brussels-city, the use of tents is prohibited. Homeless people refuse to go to shelter dormitories for security reasons. Pets are not allowed. Places are limited, especially during the winter. The cardboard shelters they assemble are not transportable and the communal services embark them during the cleanings. 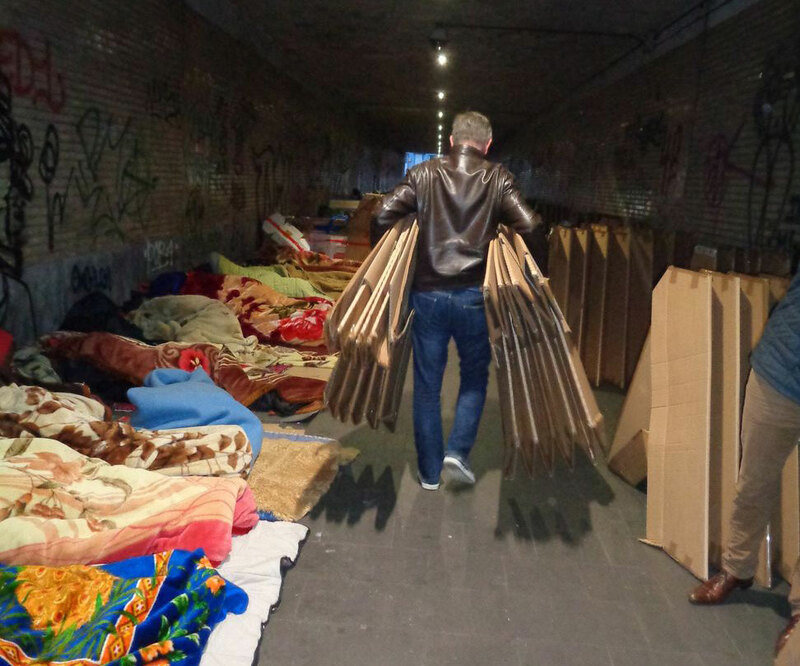 The trigger for this approach was the return of the cold and the increase in poverty in Belgium and the number of people living on the streets. The plans were carried out by a provincial reintegration center at work, a cardboard box provided the materials and CELLMADE, Lantin prison workshop, assembled them. All a symbol! All this in a very short time, after the first tests in Liege. We are fortunate to see several companies spontaneously bring their help which will give a big boost for the continuation of the project.